Listen anywhere, anytime on your iPhone®, iPad®, or Android phone or tablet. Your favorite authors and the latest bestsellers are waiting for you on nookaudiobooks.com. Sample as many as you want and begin listening in moments. Get started today — no subscription required. Listen up! 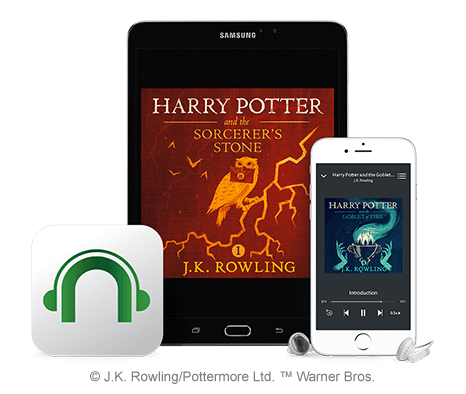 Our free NOOK Audiobooks App is now available for iOS as well as Android. Download and install to listen on any phone or tablet. Every purchase will appear instantly in your NOOK Audiobooks library. 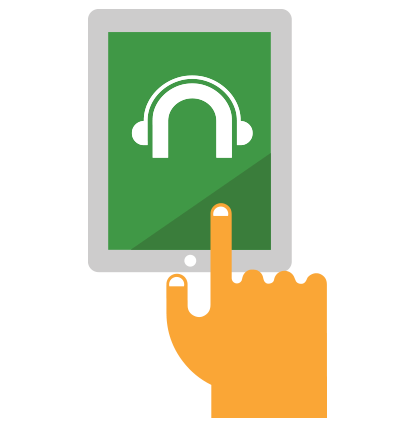 Use your computer or mobile device to browse, sample and purchase online at NOOK Audiobooks. 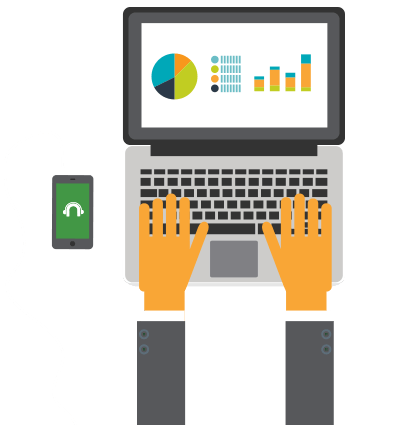 Opening an account is quick, easy, and free. Users can sign in with a current Barnes & Noble/NOOK® account or create a new one. 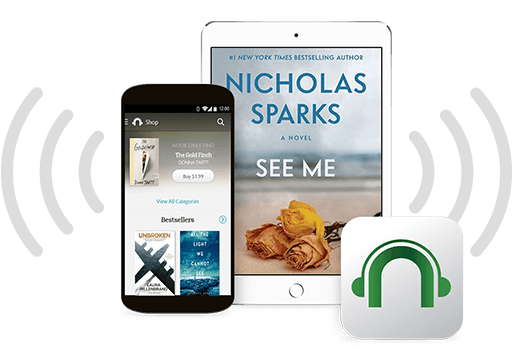 Listen to your purchases on your phone or tablet with the free NOOK Audiobooks App. Get the App. Your library is stored in the cloud. 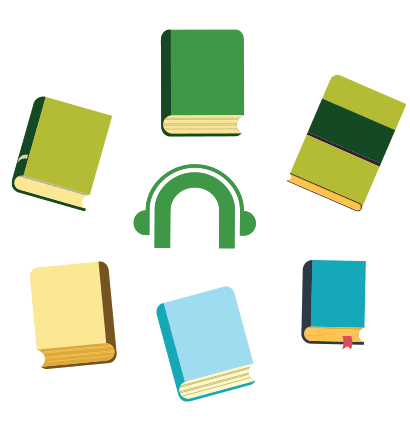 You may also download audiobooks to your device, so you can enjoy anywhere WiFi isn't available. NOOK Audiobooks on your mobile frees you up to listen anytime, anywhere — even while you're running or hiking. Thread a narrative through your life. When everyone else is just commuting or waiting in line, join your heroes on an adventure instead. Have the confidence of knowing you are always just a tap away from the greatest audiobooks of all time, yours to access whenever the passion strikes. Do you have a BN Account? You'll need one to sign into the app and shop for books on BN.com. are trademarks of NOOK Digital, LLC or its affiliates. iPhone and iPad are registered trademarks of Apple Inc. Android is a trademark of Google Inc.